Making decisions are a huge stumbling block for many. Ask for a friend or a family member to help you choose the items that will serve you well in your new home. Although decision making is the hardest of the tasks, it’s the best way to begin. Once the decision is made, downsizing, donating and discarding techniques can be easily used to rid the home of the extras. Use a space planning board to help you accurately lay out your furniture in your new space. Better to take only what fits well or you may face downsizing again, which can be timely, expensive and often not as easy as downsizing furniture from your home. Measuring the width of hanging rods in clothes closets and the width of pantries, utility and storage cabinets to help provide guidelines to how much your new closets can hold. Keeping the measurements in mind, you can then pare down the extras and keep the clothing that you wear more often or items that are used the most. Wait to call in movers until step two is complete. This will give you the most accurate price for the move. Ask friends and family for referrals of Moving Companies. Beware, not all are alike. Have your questions ready. Does the mover charge extra for steps? Does the Mover assemble and disassemble furniture? There are many questions you should ask, but another major question is regarding their insurance coverage. Most of the time, consumers must buy extra outside insurance to properly cover their possessions since Movers only give pennies on the dollar. Keep this in mind for long distance moves. Ask yourself if something breaks how much will it cost you to replace it. This will best help you determine how much insurance you should get. Make sure that the moving company you choose is properly insured for their business. Do they have workman’s comp? Are their men bonded? Who comes on the job? The Owner? A Foreman? Book early since the first, fifteenth and last day of the month are the busiest days for a moving company. 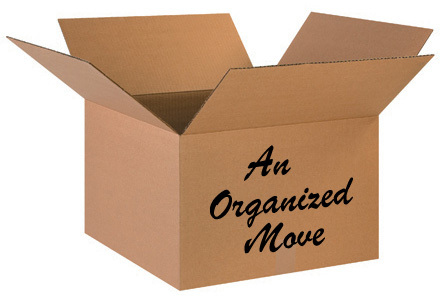 Debbie Ginsberg is the Owner of Uncluttered Domain Inc., a Professional Organizers and Senior Move Managers company. Debbie and her team have been assisting the 55+ in Nassau, Queens and Brooklyn since 2010. “An Organized Move” is an original article written in 2017.